"Every year since 2000 the pool of female emcees has steadily shrunk, and the ones that do remain today and get airplay have little diversity in content and presentation amongst each other. In fact it can be argued that female representation in Hip-Hop is at its lowest point, in which media and fans have given more attention to proud harlots like Kat Stacks than underappreciated talents like Jean Grae." 2010 marks Lauryn Hill’s 35th birthday. 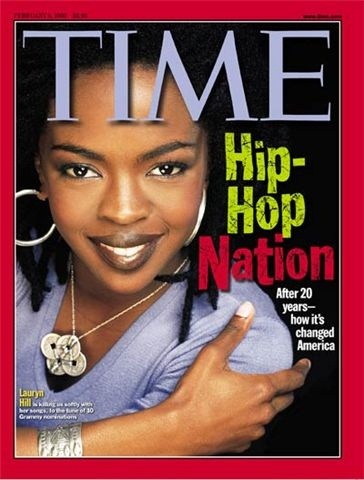 Normally this event passes without fanfare in industry circles, except this year fans and media became prematurely excited at reports the sequestered star would be making a return by headlining this year’s Rock the Bells tour and performing all the tracks from her timeless debut, The Miseducation of Lauryn Hill. Unfortunately, the promising news turned out to be false and Hill remains in a self-imposed exile. And over the past few days, the internet has been littered with articles bemoaning her absence, while others bluntly proclaimed the former L Boogie as forever lost. But with the attention given to her absence, the greater question remains — is Lauryn Hill needed in today’s Hip-Hop world? L Boogie’s 1999 Album of the Year triumph at the 41st Grammy Awards for Miseducation… was the culmination of several previous years that saw female emcees making huge strides in Hip-Hop culture. From 1996-1999, women in Hip-Hop not only held their own in the sales market but presented diverse depictions of femininity and womanhood that served to deconstruct old stereotypes and hint at unlimited boundaries of expression. See below for a short list of the biggest selling female Hip-Hop artists, and also note how different they were in style. Others, such as Rah Digga and Bahamadia, didn’t post huge numbers but were highly respected by their peers and critically praised for their lyrical acumen, which many times surpassed their male counterparts. In addition, other female artists were highly visible with well-received singles like Queen Latifah (“It’s Alright), MC Lyte (“Cold Rock a Party,” “Keep on Keepin’ On”), and Queen Pen (“All My Love,” “Party Ain’t a Party”). Hip-Hop culture has seen periods where an emcee by sheer force of their phenomenal music becomes an iconic catalyst that advances the art form. In the 80s, artists like KRS-One and Rakim stand out. Throughout the 90s and 2000s there were several, including Tupac, B.I.G., Ice Cube, Nas, and Jay-Z. 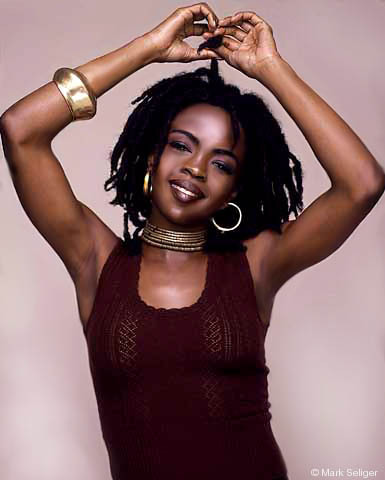 But in Lauryn Hill, Hip-Hop for the first time had a female vision at its helm. But the hopes many had of Lauryn Hill leading Hip-Hop culture to glorious expansion and change was not to be. Amid personal woes and discontent with her immense celebrity, Hill retreated inward starting in the early 2000s, and there she remains to this day. Her departure has unfortunately marked a steep decline in female expression as well. I every year since 2000, the pool of female emcees has steadily shrunk, and the ones that do remain today and get airplay have little diversity in content and presentation amongst each other. In fact, it can be argued that female representation in Hip-Hop is at its lowest point, in which media and fans have given more attention to proud harlots like Kat Stacks than underappreciated talents like Jean Grae. Society by nature always strives for leaders in all forms, whether it is social, political, economical, or religious. Lauryn Hill rejected the messianic calls from fans and press, but in the short time that she was on top, the former Fugee created a legacy that still reverberates today. On The Score, she helped redefine the expectations of the female rapper and broke down any remaining barriers with her tour de force debut. Today, her influence can be heard in numerous artists like Janelle Monae, Jazmine Sullivan, and Algebra Blessett. Instead of hoping for her to be the Hip-Hop savior she never was or wanted to be, we should all be thankful for her contributions and champion the women today who carry on her artistic traditions. It’s a dual responsibility of media and fans. Hip-Hop media by nature is chock-full of sensationalism, publicity stunts, and needless drama. Publications and writers many times feel forced to cover much of this since it always guarantees big hits and readership, but those events will not push the culture forward and should never dominate a writer’s pen over the driving force of Hip-Hop, which is creative musical expression. The goal of the Hip-Hop journalist should always be to “shine light” on those individuals. Fans serve as the “constituents” so to speak, who “vote” on artists by purchasing music, attending concerts, and offering feedback to media outlets. That is why it’s important to support female artists like Janelle Monae and Jean Grae beyond lip service. There is immense power in your hands. After The Miseducation… we all wanted a female Hip-Hop Messiah, but being L Boogie was good enough. As briefly as she wore the crown, it inspired many and moved us forward artistically. If she ever returns, she will be welcomed just as we do with Sade’s appearances once every decade. But until that day comes, let’s be sure to support and celebrate the aspiring great female emcees and singers today who carry on her legacy.